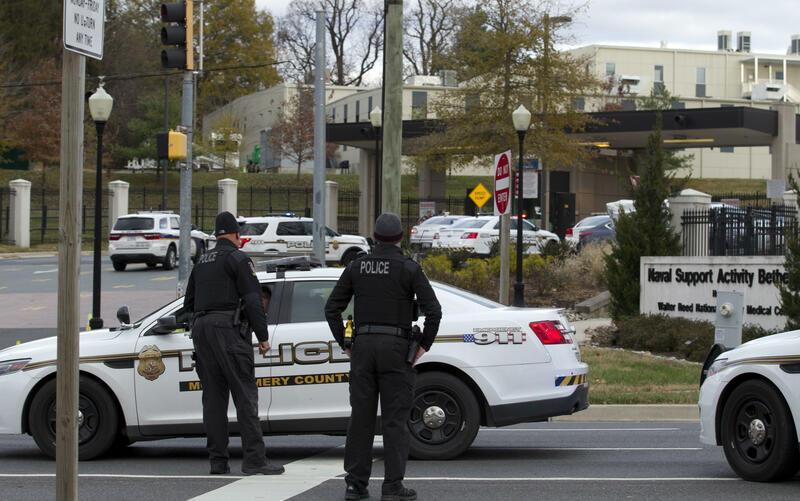 An active shooter scare Tuesday at Walter Reed National Military Medical Center in Bethesda, Maryland, turned out to be a drill gone awry, authorities said. The mixup prompted a large police response, leading workers and patients to take shelter. The Navy, which runs Walter Reed, said one of the medical center's subordinate commands had been planning a drill and accidentally triggered an alert that didn't include the terms "test" or "drill," prompting recipients to react as if it were a real-life situation. The Navy called the incident "an improper use" of the warning system. Around 2 p.m. ET, SWAT teams responded to the reports of an active shooter at the medical center where American servicemen and women recover from their wounds. Among those who took shelter were an amputee and a veteran suffering from a traumatic brain injury. One of them told CBS News patients were loaded into wheelchairs, some holding crutches over their heads. "Those who could walk were hastily pushing the wheelchairs. There was fear," said the veteran, who did not want to be named. "Some guys grabbed baseball bats or whatever there was to defend" against a potential attacker. "People were silent and sitting in the dark." Rep. Dutch Ruppersberger, D-Md., was at the scene Tuesday. "We've been told there is an active shooter," he tweeted shortly after 2:30 p.m. ET. "I am currently safe in a conference room with approximately 40 others." He later tweeted: "We've been given the all clear at Walter Reed — at no point was there any indication that this was a drill."